254th day of the year. There were then 111 days left in 2018. 83rd day of Summer. There were 11 days left till Fall. 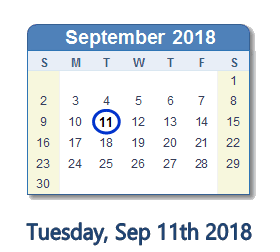 September 11, 2018 was the 3rd and last day of Rosh Hashana (Jewish Observance). What happened on September 11th 2018?